Quality is not the best but it looks good! Changed the output setting and got a much nicer print! Just make sure you don't put A4 in the description of its size. You may confuse someone. Does someone have a poster handy that they can give me the exact width or height? i am curious. Aside from Muscle Man and Terri Bull being #'s 001 and 002, was there any logic / reasoning for how the rest of the figures were numbered on the MUSCLE poster? 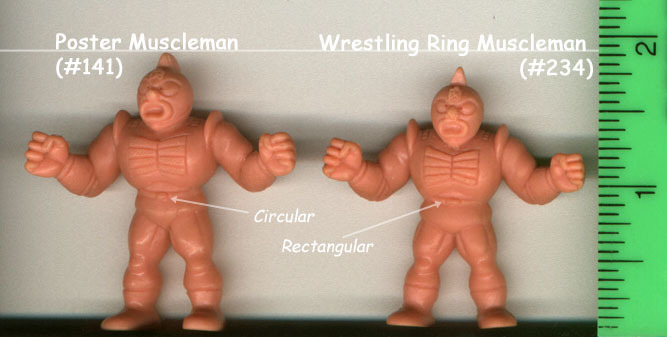 its pretty much the same figure, but one was released with the ring with slight differences. Cheers Eric - so basically slight height difference and belt buckle shape. Sweet!